We’ve said wine is like music. There are many genres and styles. And “best” is more a question of taste than absolutes. A pop song may be catchy and nobody is offended by elevator music. But that isn’t what we want in a wine. We’d rather have a wine that has a focused edge … not something suga ry or bland. The fruit for our wines is sourced exclusively from our own vineyard in the Chehalem Mountains. (We’ve always found a good solo act more intriguing than an orchestra – in wine, too much blending obscures the unique character of a site.) 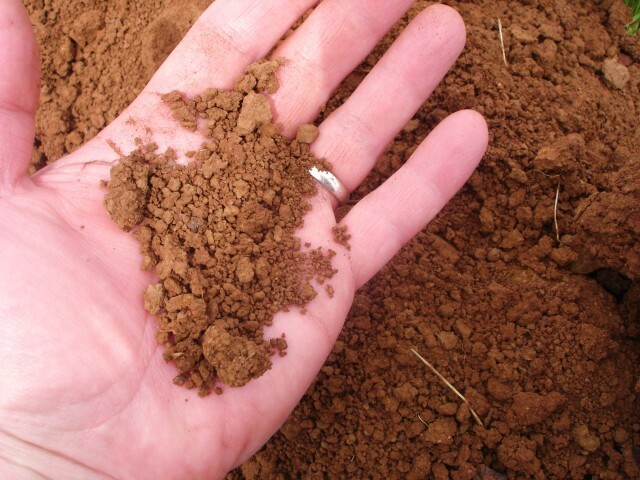 The vines are grown in good dirt – essential for good wine. We keep the soil healthy because that leads to healthy vines. Healthy vines make better wine. We pay a lot of attention to the vines and help them to produce the best fruit possible. When the fruit is finally ripe, the grapes are carefully harvested by hand, and the wine is aged in French oak barrels – a few of them new. We take a minimalist approach to winemaking. We don’t seek to mask the uniqueness of each vintage – rather we acknowledge and celebrate the inherent differences between growing seasons in the Willamette Valley. We chose the image on our label … taken from a photo of a record on our turntable … to emphasize our old school approach – “analog wine for a digital world.” We don’t make tweaks or “improvements” to our wines in a quixotic pursuit of perfection — we submit that there is no such thing as a perfect wine. But there are great wines, and great wines must have character. While our wines drink fine on their own, they really shine when paired with your favorite meal. Try them with salads, pasta and steak, as well as wild salmon, tofu and anything else you like to eat. We really don’t think about scores when we make our wines and we frankly are surprised when our wines are awarded good numerical scores by critics. We are more interested in the text of the review. We especially love it when reviewers include words like “raucous,” “crunchy,” “nervy” or “quirky” when describing our wines. If you want highly refined and polished, keep moving. No overdubbing, no remixing! Some years it is difficult to predict the weather. Weather is very important in this business. We pick for flavor – we don’t make a habit of taking juice to the lab for testing before we’ve picked. Sometimes the wine might benefit from the addition of water, sugar or acids. Generally speaking, when working with a quality site that consistently produces balanced fruit such adjustments should be rare. However, we feel water, sugar and acid additions are less interventionist than adjustments that alter the flavor elements and true character of the wine. We only make adjustments we feel are necessary. This means we’re prepared to accept potential alcohol between 12.5 and 15 percent. We try to farm so that our wines won’t need additions of acid, but we don’t rule that out because it really can make all the difference between a wine that is great and a wine that is unstable or “meh.” We really aren’t so dogmatic that we’ll go producing wines that won’t sell – it’s hard enough selling sound wines that taste great. Still, we never, ever attempt to transform a warm vintage wine such that it is indistinguishable from our cooler vintages. We did need small additions of acid 2009 and 2012, and we added a little bit of sucrose (cane sugar) to a couple fermenters in 2010 and 2011. We dry farm our vineyard, but so far we haven’t felt our fruit would benefit from additions of water (aka “post-harvest irrigation”). We do add sulfites to stabilize the wines; this is especially important when taking such a hands-off approach in the cellar. When we make sulfur additions it is always sparingly. We’d be honored if you buy our wines, and very pleased if you enjoy them. In any case, be yourself, be responsible, and do what you want to do.